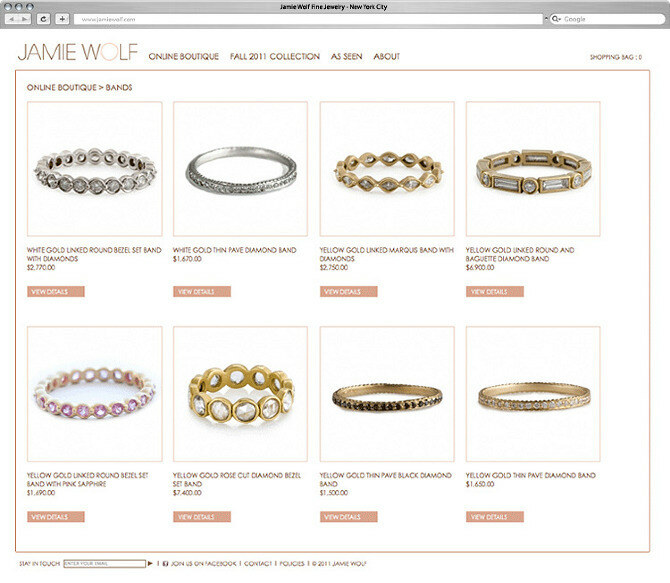 Branding and website design for New York City based celebrity jewelry designer, Jamie Wolf. The objects found on the homepage were built by hand using found and crafted objects including a tree branch rescued from the headwaters of the Hudson river deep in the Adirondacks. Each leaf on the tree was lovingly crafted, a different set for each season of the year, meticulously animated on the homepage, and switched out with each new seasonal offerings from Jamie's studio. Designs for a clean, elegant, and intuitive shopping page. Design for the about page. The featured piece and ornamental leaves on the tree also changed out with the seasons. 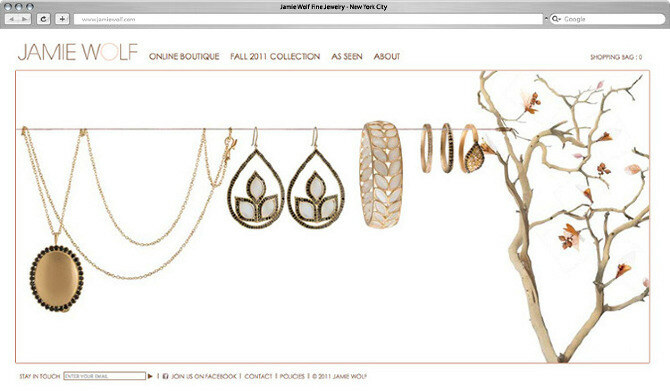 Design for the Perspectives section on the site where Jamie and Co. commented daily on the world of style and fashion.